We think about you and the reasons behind your purchase designing timeless pieces that bring out your best. That’s why we remain one of the few jewellery retailers that have an in-house team of master craftsmen dedicated to creating your future heirlooms and keepsakes while continuously perfecting their craft. For over 30 years we’ve shared our vision locally and globally with customers in New Zealand, Australia, Canada and the United States, and we’ve earned the reputation for quality jewellery along the way. We thoughtfully source our materials from leading designers and diamond suppliers. Our strong relationships with them ensure only top-quality pieces make it through our doors. If for any reason you’re unhappy with your purchase, we want to know. 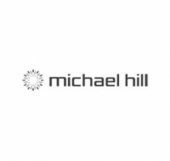 Our Michael Hill Diamond Promise and International Lifetime Diamond Warranty are here to resolve any issues and make sure your satisfaction with our products will stand the test of time. And we’ll continue to craft the special pieces for every one-of-a-kind occasion, person and purpose in your life.